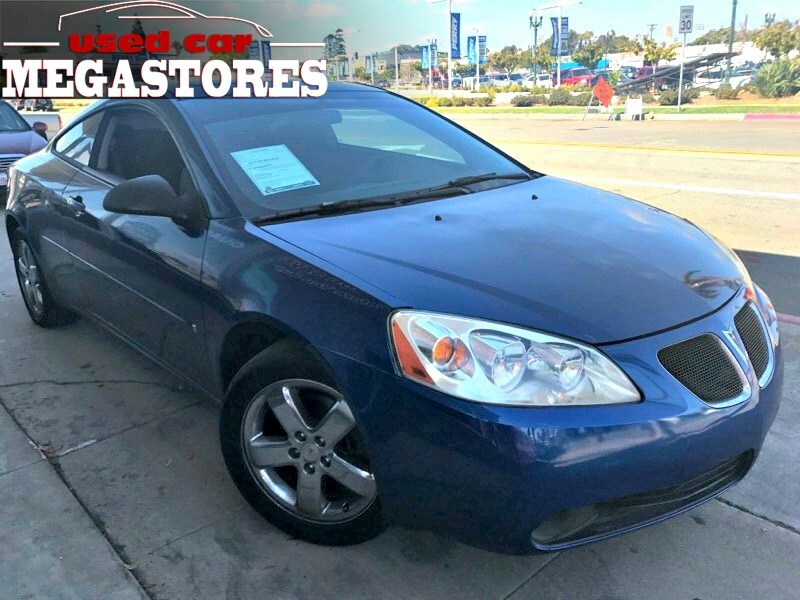 This 2006 Pontiac G6 GT Coupe offered in Electric Blue Metallic is the perfect balance of sporty driving and excellent looks! And what sweet body lines! Our GT gets its heartbeat from the 3.5 Liter V6 engine that kicks out 201hp. Paired with a 4-Speed Automatic transmission, this front wheel drive scores a very pleasing 29mpg on the highway. Yeah, this awesome ride can get up and go...and then some! Check out the pictures of our GT trim. You get all the features you want, plus a premium sound system with an equalizer and a full complement of power accessories! Be sure to note the airbags, daytime running lamps, and traction control, all in place to keep you and your friends as safe as possible. Looking for an amazing ride? This G6's performance is great; it takes corners extremely well and will have you smiling... Print this page and call us Now...We Know You Will Enjoy Your Test Drive Towards Ownership!